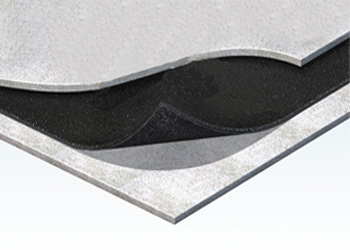 The Thin Ceiling system of soundproofing uses our synthetic rubber soundblocking membrane layer sandwiched between 2 layers of our Acoustic Plasterboard. The Thin Ceiling System is designed to reduce the amount of airborne noise which penetrates poorly insulated floors. This system is unlikely to reduce any footfall or impact sound that is made on the floor above, if this is the problem please see out Studio Ceiling Soundproofing System. The main product is our SoundBlocker Membrane which utilises synthetic rubber and special fillers to produce a revolutionary barrier against airborne transmission. This product is only 2Kg/ m² and it’s easy to handle and carry meaning work on soundproofing a ceiling can now be carried out by a single person as the roll is simple to work with making for a quick, easy, home improvement product. 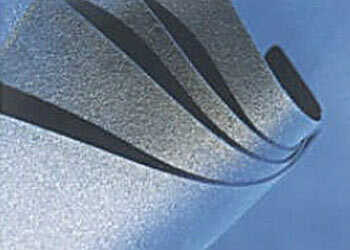 The SoundBlocker Membrane easily folds and bends round corners and edges to protect against flanking sound. Not only is it versatile it boasts a very high Performance noise reduction of up to 22dB Rw for minimal thickness. PLEASE NOTE !! THIS PRODUCT IS VERY HEAVY AND REQURIES TWO PEOPLE TO CARRY IT. Two layers of Membrane are sandwiched between two layers of our Acoustic Plasterboard. See below. We have created this easy to order system for you but all the products can be purchased individually from other web pages on our site. 2 x layers of Acoustic Plasterboard (15mm thick, 2.4m long and 1.2m wide sheets) MIN ORDER OF 5 SHEETS DUE TO SHIPPING. The system is easy to fit with little D.I.Y experience. Once ordered the products are all delivered to your door (Access Permitting) with full step by step install instructions. Work out the area of your ceiling then use our product selector below to work out how much you need. Give us a call on 0845 363 7131. We advise to always add a few extra of each product to allow for wastage from offcuts. PLEASE BE AWARE THE SOUNDBLOCKER MEMBRANE ROLLS WEIGH 30kg EACH SO YOU MAY REQUIRE HELP WHEN LIFTING THEM.